It’s been four years since Eminem released his last album, 2013's The Marshall Mathers LP 2. But the Detroit-based rapper has been making some noise lately, releasing an eye-and-ear-catching Trump-bashing cipher at the BET Hip-Hop Awards earlier this month, and even getting tangentially involved in the world of New Zealand national politics. Now, fans appear to have found evidence that he’s about to unleash a new album on the world, in the form of a bizarre fake pharmaceutical web site full of jokes about the rapper’s past triumphs. Quick internet searching dug up a website for the “treatment,” complete with a seemingly earnest promo video that nevertheless contains a lot of lines like “it’s easy to lose yourself,” or “I won’t waste my one shot.” It’s all kind of clever, in a dad-joke-rapper kind of way; for instance, the “Midwestern tympanic stimulator” supposedly treats a condition called “Atrox Rithimus,” or “bad rhythm.” There’s even a phone number you can call, complete with a snippet of “I Need A Doctor” playing in the background. It’s worth noting that, presuming the album’s name actually is Revival, it’ll follow the pattern previously set by Relapse and Recovery—the former of which was also promoted with a fake medical web site, according to Rolling Stone. 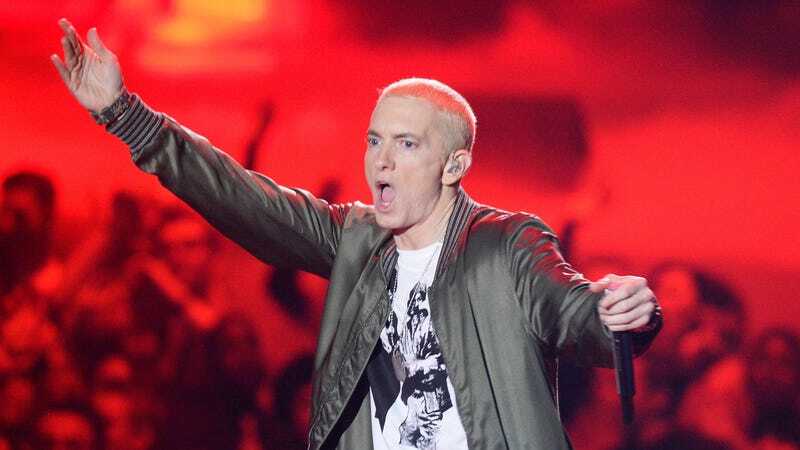 There’s no word yet on when the album might arrive, but we’re sure Eminem will set up some sort of elaborate internet scavenger hunt to let us know.